Mornings. It can seem like they can really set the tone for the rest of the day. Some days everything is running smoothly, other days… well, it’s the complete opposite. While a great morning moment can feel pretty magical, there is more to the perfectly productive day than magic. To help you make your morning more efficient, I have some top tips to help you cope with those morning blues. Getting enough sleep and waking up when your body is ready will lead more often to a productive day, rather than forcing yourself out of bed hours before your brain is ready – you’re just asking to burnout. If you’re not a morning person, you can’t force it, but you can make sure you are getting enough sleep by ensuring you get an early night. Try to get at least 8 full hours as recommended. Its not always easy but sticking to a routine will make it much easier for you to drift off. Creating a morning routine will focus your mind. Perhaps the most important element of a productive morning is your routine. The best thing you can do to be productive is to create your ideal morning routine. 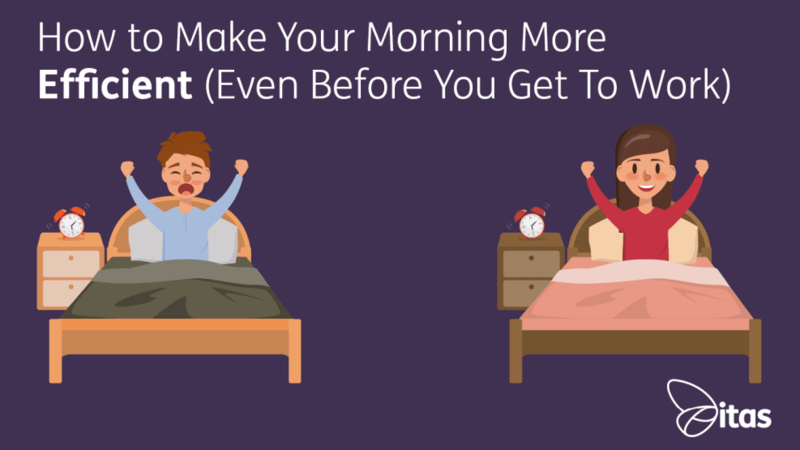 Although there is not one morning routine that will work well for everyone, there are some key elements that make a morning routine most effective. Writing/typing out what exactly needs to be done is the first step towards actually getting it done. Usually, the best thing to do is to review the next day’s goals a night before, preferably before you go to bed. Once you are awake, you can quickly read through this schedule and be mentally prepared for what your day is going to look like. Being prepared is always an important step! Time cannot be earned back once it has passed, this is why every second needs to be accounted for. Managing time is a skill on its own, there are many ways to help manage time – reminders, alarms, calendars/diaries. Different methods work better for different people. Even something simple like wearing a watch is a great way to not loose track of time. Personally, I always wear a watch, and if forgotten, it would really ruin my day. I also keep a diary on me at all times which i constantly update. Making sure all appointments/birthdays/bills and most importantly payday is documented in there on my week to date midyear diary. 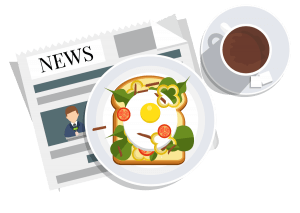 A delicious breakfast is the perfect way to start your day. You body needs the right amount of nutrition to give you strength to keep you feeling energetic through your day. How can you power through your morning routine without the energy to do so? It is essential to start the day as you mean to go on, full of energy and positivity. Having music playing can really boost your mood. Personally, I play my favourite songs on my phone whilst getting ready at home in the morning. On the way to work I can have a good sing a long in the car which really boosts my mood. Listening to music is a good way to think positively in the mornings, a positive mind will promote productivity. Doing things in a rush can cause you to forget something important to work. This can cause morning chaos and can waste time trying to find things you need. Files, paperwork or even your lunch are all things that can ruin your day when you get to work. Here at itas, the closest shop to us here is approximately 15 minutes away. As we get 30 minutes for our lunch break we would be leaving ourselves without much time to eat. The best thing to do is to make a list the night before or even get most the things you need together ready for your morning dash to work. Going to work everyday and dealing with hundreds of different tasks and problems is never an easy thing to do. Every one is motivated by different things, money, family, and success are just a few examples. Believing in yourself to keep moving forward can turn even the dullest day into a productive day. Keep positive and believe that positive things are going to happen. Try it, and you’ll understand why positivity is so essential. In an ideal world, every morning would run smoothly, but we all know this won’t be the case. Just remember when things don’t go to plan how you can go about making your morning run more efficiently in the future. Taking the time to understand your ideal routine can be beneficial for you and your workplace. I hope my top tips have helped, if you have any feedback then please contact us.